takes its diet more seriously than I do! 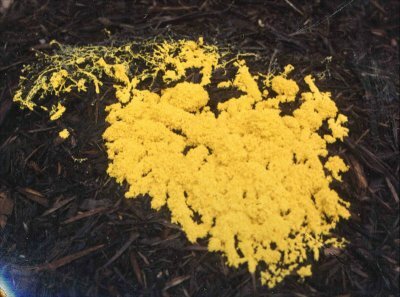 In the Proceedings of the National Academy of Sciences, Audrey Dussutour and her colleagues report on a very clever series of experiments studying the dietary habits of this slime mold.1 First, they took 350 different slime mold fragments and gave them one of 35 different diets, each of which had a different protein-to-carbohydrate ratio. They found that the slime molds grew best when they had a diet that consisted of a 2:1 protein-to-carbohydrate ratio. Having determined experimentally what the healthiest diet is for these slime molds, the researchers then performed two experiments to see whether or not a slime mold could figure out the same thing for itself. In the first series of experiments, they put a slime mold in a dish that had two clumps of food. The two clumps of food had different protein-to-carbohydrate ratios, neither of which was optimal. For example, in one trial, the first clump had a protein-to-carbohydrate ratio of 6:1 (too much protein), and the second clump had a ratio of 1:2 (too much carbohydrate). The slime mold grew so that it covered both clumps and took in exactly the best ratio (2:1)! In the second experiment, they gave the slime mold 11 different clumps, none of which had the optimal ratio of protein to carbohydrate. The slime mold chose the two clumps closest to the optimal ratio and once again grew so that it would be able to absorb just the right ratio. What’s amazing about this study is that a slime mold has no “central processing center.” In general, a slime mold is just a loose association of amoeba-like cells. The specific slime mold studied in this research was in its plasmodium stage, which is really just a network of multiple cell nuclei in a “blob” of cytoplasm. The entire blob can move in search of food, which is how the slime mold chose what clumps of food it would eat in the experiment. Unlike a typical multicellular animal, then, there isn’t a nervous system or any other central control unit. Nevertheless, the organism somehow “knew” what its proper diet was and reacted to its environment so that it could achieve that diet. The point here is that even this kind of “simple” multicellular organism is surprisingly complex. In the general framework of evolution, nonliving chemicals randomly reacted to form the first living cell. That cell slowly became more and more complex, most likely by absorbing other cells. Eventually, a complex cell somehow “figured out” how to cooperate with other cells in a simple colony. As that cooperation continued, eventually the simplest multicellular organisms were formed. Over time, those multicellular organisms gave rise to very complex multicellular organisms. Of course, the more we learn about the supposedly “simple” organisms with which we share the earth, the less believable the story becomes. As Dr. Cornelius Hunter points out, even the “simplest” one-celled creature capable of reproducing on its own is exceedingly complex. The idea that random (unknown) chemical reactions coupled with some (unknown) selection method could possibly produce something as complex as even the “simplest” cell we know today is ridiculous, especially in light of the many origin-of-life experiments that have failed so miserably. Actually, studies like this one definitively show that slime molds are neither simple collections of independent single-celled organisms nor primitive multicellular organisms. Instead, they are very complex organisms that we do not really understand. In addition, the more we understand them, the less believable any evolutionary explanation of their origin becomes. Wow, this is really amazing, I am a Home school student by the way and I am currently taking Exploring Creation with Biology. I was just looking up things on the web when I ran into this site. 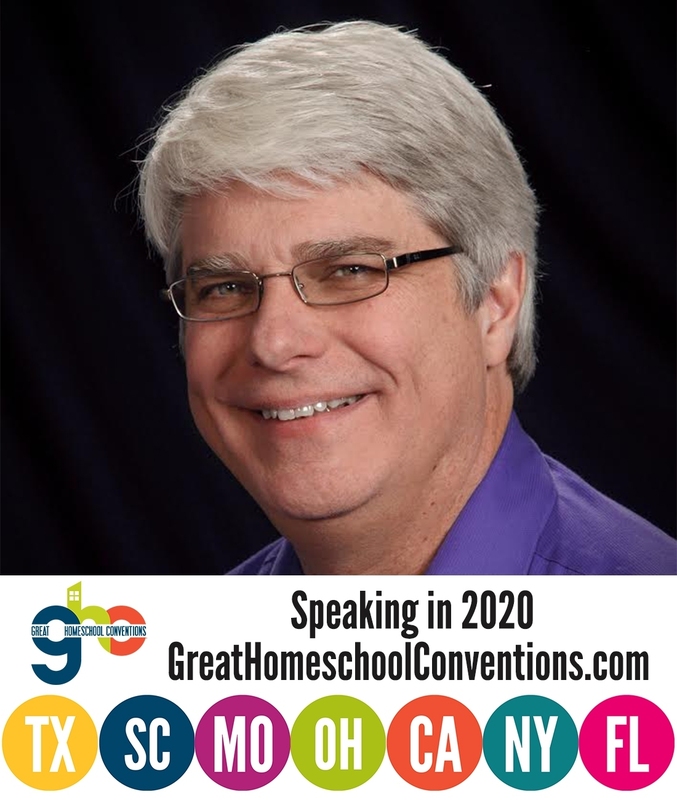 I just want to say I admire your work greatly, I have taken several Exploring Creation with… courses and I highly enjoy them. As said in the course their is no such thing as a “simple” life form and I think this slime mold thing shows that. It has exasperated me how often some evolutionists lie, like how in things in the course that obviously show evidence for creation on the web evolutionists will file under evidence for evolutionism without showing any evidence. Thank you for getting the truth out. Thanks for your comment! I am glad that you are enjoying the courses. I agree that some evolutionists lie, but unfortunately, some creationists lie as well. I think some people are so committed to their preconceived notions that they think it is okay to lie in order to get people to believe what they believe. That’s why it is so important to read all sides of any issue that is important to you. Hopefully, that way, you will figure out who is lying and who is telling the truth. I too stumbled across this site and had to stop by and say hello. I think it is important to have very good scientists, like you Dr. Jay show that “reading” outcomes based upon presuppositions can lead to false conclusions. Without a good scientific basis on either side of the fence it is hard to discern truth. Thanks for commenting, Felice. I agree! John, in the experiment, the investigators first gave the slime mold only one kind of food, with a fixed ratio. They measured how the slime mold grew on that ratio. It turns out that each ratio produced a specific growth rate, with the 2:1 ratio producing the best. Then, in the experiment where the slime mold had a choice, they measured the growth rate. In each trial, it ended up matching the growth rate that was produced on the 2:1 ratio. This is a strong indication that the intake was 2:1. I wouldn’t call that a lie, but it’s not the truth either. First, drawing a line between “living” and “non-living” is surprisingly hard. What non-living chemicals are you talking about? What kind of living cell are you talking about? Second, I’ve never heard of a chemical law of random reaction. Can you describe it to me? Third, changing from an organic molecule that is certainly non-living to a cell that is absolutely living didn’t happen in one step. We don’t know how many steps or how they worked, but skipping over this point is very deceptive. Origin of life is an area of active research. Science will eventually figure it out. Okay, I’ll take the verbal paddling for commenting before finishing the post. Done? Great. Thank you for clarifying what you meant by “random.” This is one of the most incorrectly-used words by creationists. However, substituting “unknown” for “random” simply switches the focus of the logical fallacy from the definition of “random” to a form of the irreducible complexity argument. As you know, science doesn’t disprove statements, so why would you say “The idea that random (unknown) chemical reactions coupled with some (unknown) selection method could possibly produce something as complex as even the “simplest” cell we know today is ridiculous.” You think it ridiculous (one of my favorite words), but it is impossible? Is it a reason to believe in creationism? “They are very complex organisms that we do not really understand.” So true. “The more we understand them, the less believable any evolutionary explanation of their origin becomes.” So false. What’s the evidence for believing any evolutionary explanation less? Wow, I’m out of practice. I meant to say “science doesn’t prove statements.” Apologies to Mr. Popper. Wow! Once again, three posts to say things that mostly aren’t even right. You aren’t getting any better at this, Shooter! Actually, the word “random” is one of the most incorrectly-used words by EVOLUTIONISTS. You might have some mystical faith that origin-of-life research will eventually “figure it out,” but that faith certainly isn’t backed up by data. In fact, Simon Conway Morris in his book Life’s Solution puts it best, “Never mind the universal goo: in laboratories all over the world we are on the verge of seeing how the spark of creation transmuted the inanimate into the animate. NOTHING COULD BE FURTHER FROM THE TRUTH.” (p. 43, emphasis mine). Origin-of-life research has only succeeded in showing how absurd it is to believe that life can spring from non-life. Spontaneous generation is dead, Shooter, regardless of the silly form it happens to take. If you would have bothered to read the post by Dr. Hunter, you would know what kind of “simple” cell I am talking about. M. pneumoniae is a prokaryote that has one of the smallest genomes (for an organism that can reproduce on its own). This is the best measure we have of the “simplest” life form. The non-living chemicals are the ones typically used in origin-of-life experiments. If you would bother to educate yourself on what kinds of experiments have been done, you would also know that. You can say, “changing from an organic molecule that is certainly non-living to a cell that is absolutely living didn’t happen in one step.” However, you have no data to back that statement up. Since all origin-of-life experiments have been miserable failures, you have only your faith to support that statement. You can BELIEVE that if you want, but you do so in spite of the evidence. I can very easily say “The idea that random (unknown) chemical reactions coupled with some (unknown) selection method could possibly produce something as complex as even the “simplest” cell we know today is ridiculous” because we have spent a lot of time seeing what chemical reactions produce. Even under the most ideal conditions, they produce only pitifully small amounts of the simplest chemicals of life, along with a bunch of goo that would inhibit the formation of life. Thus, the most reasonable scientific conclusion is that such reactions will never produce a living system. “The more we understand them, the less believable any evolutionary explanation of their origin becomes.” So TRUE. You see, when Darwin wrote his book, most scientists thought that the cell was a simply blob of protoplasm and not much else. Thus, it seemed reasonable that a simple living system could come about by random chemical reactions. The more we understand of the complexity of even the SIMPLEST organism, the less reasonable it becomes to think that. In the same way, the more complex we see even the SIMPLEST multicellular life form, the harder it is to believe that random mutation acted on by natural selection could make the leap from single-celled life to multicellular life. The bigger the “gap” between the two, the harder it is for naturalistic process to cross the gap. The more we learn, the bigger and bigger that gap becomes, and the more ridiculous it is to believe that evolution can cross it. Once again, if you want to have your mystical faith in evolution, you are free to do so. Those of us who base our beliefs on evidence, however, will have none of that nonsense. I already knew that the scientists knew exactly the ratio of food that the slime mold was consuming. My question was to know how you knew that slime mold absorbed exactly the correct ratio of food (as said in text), but apparently the indication that the intake was 2:1 was so high it was basically exact. John, I think you missed the growth rate part. Each ratio produced a different growth rate. Thus, growth rate was also indicative of the ratio of protein to carbohydrate absorbed. In the choice experiments, then, the measured growth rate indicated the ratio absorbed. Now I understand, thank you Dr. Wile. What if the slime mold’s goal wasn’t to grow? What if the slime mold wanted to lose weight?